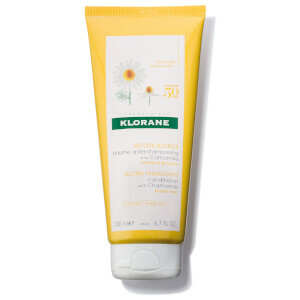 KLORANE Conditioner with Chamomile has been specially formulated to help naturally brighten and uplift the appearance of blonde or light brown hair. Rich and creamy, the brightening, restorative formula nourishes hair whilst restoring softness, silkiness and radiance. 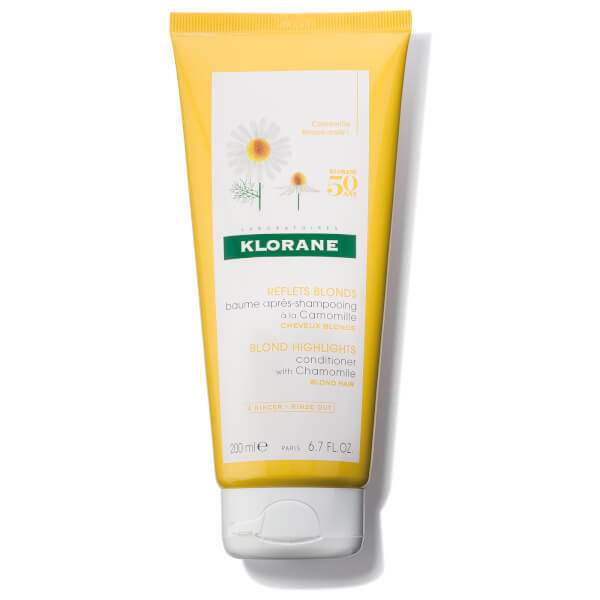 It harness the brightening properties of Chamomile (sourced from the petals of Egyptian-grown flowers), an ingredient traditionally used to enhance blonde highlights and intensify golden shine. After use, hair is left easier to manage with restored softness and luminosity. Suitable for naturally blonde hair, highlighted hair, colour-treated and bleached hair. 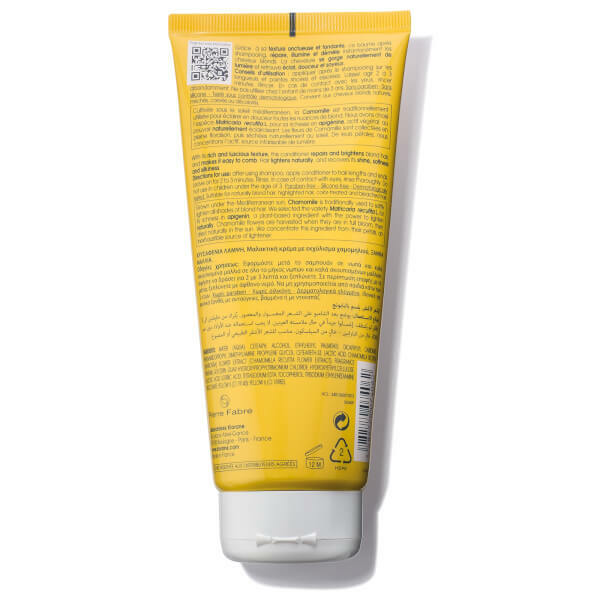 Free from parabens and silicone. Dermatologist tested. Biodegradable formula. After shampooing, apply to lengths and ends of hair. Distribute evenly and rinse.